New Yorkers love to tout their exceptionalism. Late Sunday evening, the state legislature in Albany handed city residents another first-of-its-kind distinction: New York will be the first US city to impose a fee for driving in a busy part of town. The congestion pricing plan is an effort to fight traffic—and to raise billions for the region’s floundering mass transit system. The plan would, by 2021, establish a fee for cars or trucks entering the most hectic part of Manhattan, below 60th Street. A few people are expected to get a break on the charge, with planned exemptions or credits for low-income area residents, those with disabilities, and those who need to visit medical services in the area. But for everyone else, it should get a lot more expensive to drive around Manhattan—probably around $11 per car and $25 per truck. 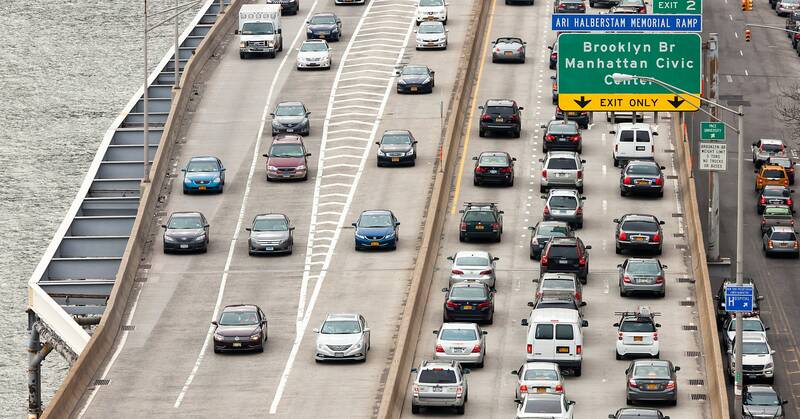 (Those numbers come from a state-commissioned task force on congestion pricing, but the Metropolitan Transportation Authority’s Triborough Bridge and Tunnel Authority will set the prices in coming months.) The agency might choose to assess variable fees, making it, for example, more expensive to drive in the congestion zone during rush hour or on weekdays. The congestion pricing challenge is straight out of the Economics 101 textbook. Make it too expensive and inconvenient to drive in Manhattan, and traffic evaporates—but the city will raise little money to invest in its struggling transit network. Set a lower price, making it still inexpensive and convenient to drive, and the city will raise lots of money for subways—but not relieve much congestion. The result: a bunch of cranky voters who don’t understand why it’s suddenly pricier to drive on still-crowded roads. To understand what’s at stake here, Manville likes to use an analogy: parking meters. When cities first started installing parking meters, officials saw them as a parking management tool. If transportation wonks found a pricing sweet spot, the thinking went, they could guarantee that anyone who desperately needed to park would always be able to find a spot, albeit for a hefty fee. Over time, though, more cities began to see parking meters as machines that could make them money. Parking still cost a fee, but not enough to disincentivize driving altogether. In other words: Meters are annoying but not overly burdensome for the average driver. And cities found themselves squeezed for parking once again. Fortunately for New York, a bunch of other cities have used congestion pricing for years to reduce traffic and raise money, with mixed success. There is plenty to learn. London, for example, rolled out a pricing scheme in its busiest downtown area in 2003, charging $8 to enter the 8-square-mile zone during weekdays. At first, it worked: Traffic delays fell by 30 percent, and the city estimates it has reduced vehicular emissions from the zone by 12 percent. But traffic has climbed back since the early 2000s, even as the charge has reached $16. Now it’s even slower going in the area than when the scheme kicked in 16 years ago. And that’s partly because the congestion plan’s writers couldn’t anticipate what was ahead: the explosion of on-demand delivery and for-hire vehicle platforms like Uber and Lyft, which are, along with taxis, exempt from the congestion charge. The London experience points to a hazard of congestion pricing: being too generous when deciding who can escape the tolls. So New York City has plenty of questions ahead, and plenty of work to do. And no one in the city should expect this congestion plan to save them from traffic forever. “This underscores that just doing congestion pricing is not enough to combat congestion or to get the system to work the way we want it to,” Schaller says. The really fun part is yet to come.